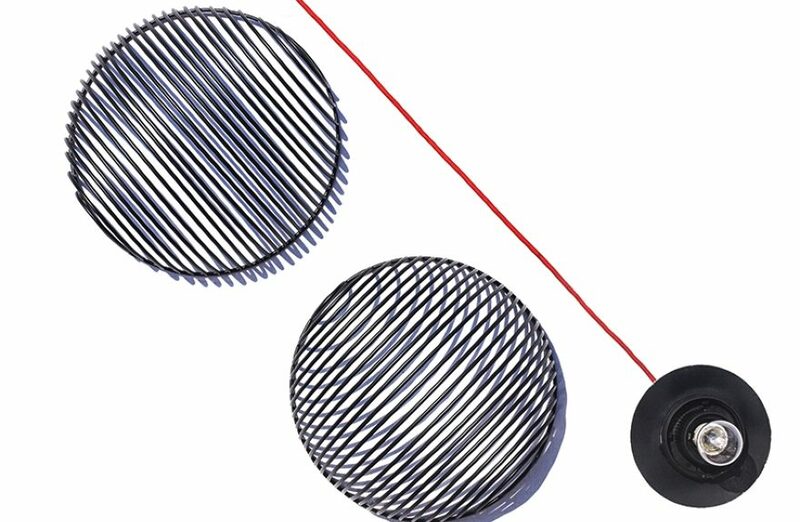 Dana is a pendant lamp optical inspired by the artwork of Victor Vasarely, in particular to a composition of curved strips of black and white is not contained by contour lines. 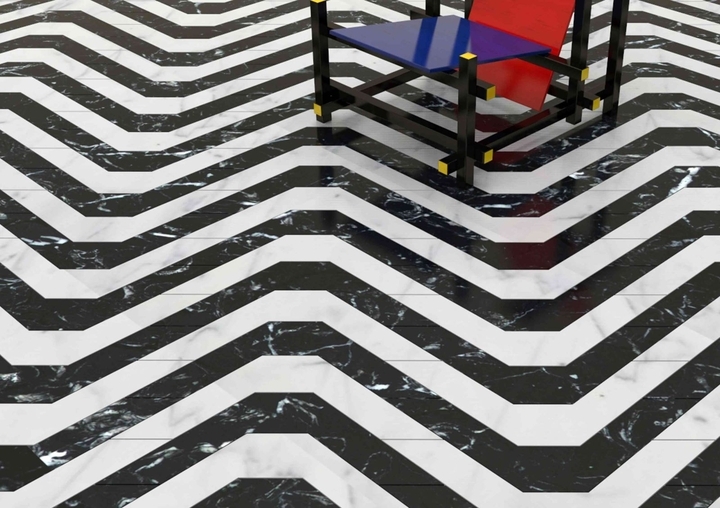 Optical called Oasis, all played out in black and white marble, was designed by Manuel Barbieri to draw water, natural element of the Bologna event. 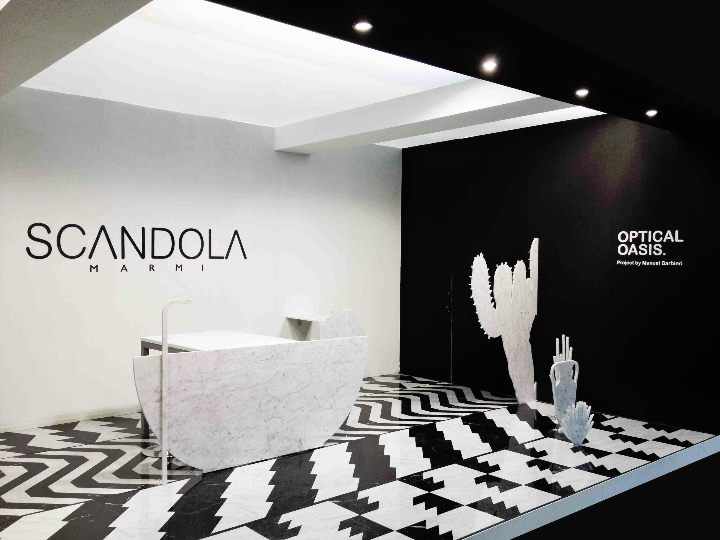 Silhouettes of amphorae and cactus as well as bathtubs, sinks and mirrors in white Carrara marble emphasize the understated elegance of a contemporary bathroom where the floors with geometric lines optical play with accessories designed for modern environments from the smallest. that, after having entrusted the art direction of his first collection of fancy marble for home and cucna, which envisaged the complete remake and repositioning dell'azieanda Verona, from the brand image to the distribution point to a collection of innovative floor and wall.